Microsoft's goal of having Windows 10 used on just about every form of computing device has taken one step forward. Manufacturers have already incorporated it into a phone and even a portable stick. 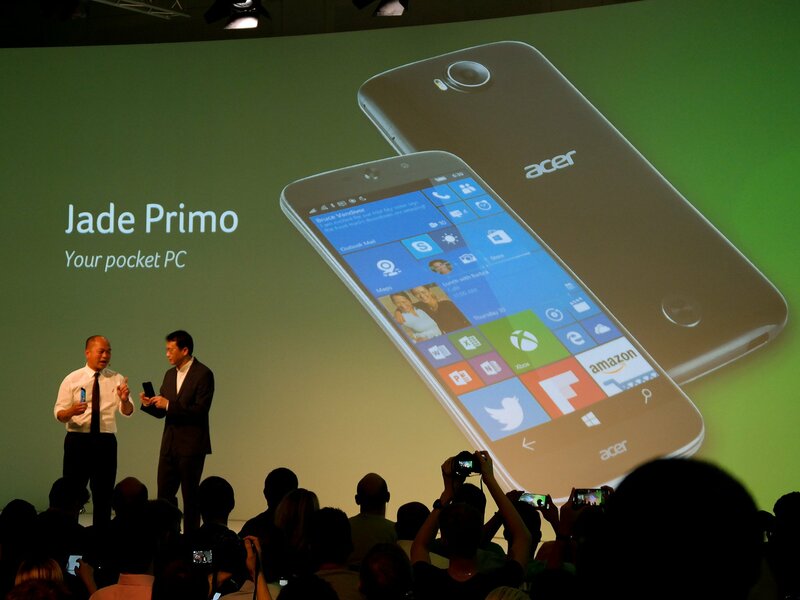 Acer, the company that helped establish the idea of the netbook as a way to run 'real' Windows on an ultra-portable device, has announced what it is calling the first PC Phone. At first glance, the Jade Primo looks like a high-end smartphone running Windows mobile; however, it has fairly impressive specifications, including a Snapdragon 808 Processor, a full 1080p HD 5.5" AMOLED multi-touch screen, and a 21-megapixel camera. What makes the Jade Primo different is that it's the first to support Microsoft's new Continuum feature. That means that you can connect the device to a monitor and it instantly transforms into a Windows 10 computer without any need to reboot the phone or restart apps. Apps will then automatically resize and even reshape to take account of the increased screen size. The phone is compatible with wireless keyboards and mice, though Acer will also be selling an optional dock that includes a power lead. 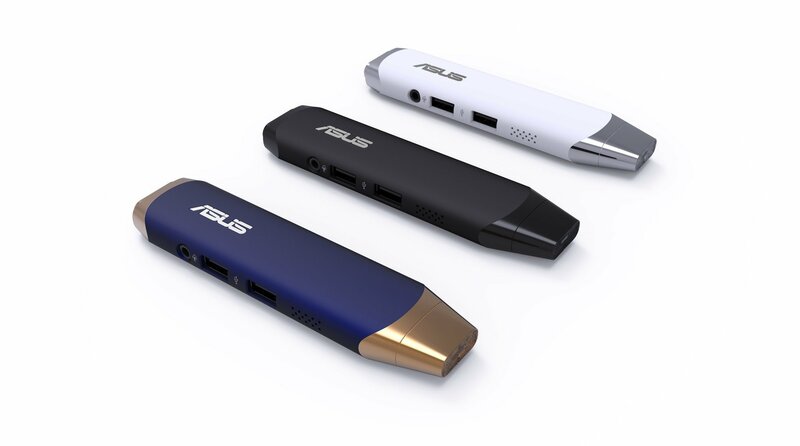 Meanwhile Asus has come up with an even more portable Windows 10 device known as the VivoStick, weighing in at just 68g. Similar to Intel's Compute Stick, the VivoStick comes in a form factor resembling a USB memory stick, complete with an HDMI plug for output to a monitor or TV set for display. Is there any real demand for Windows 10 on phones and sticks or is this just a case of doing something because it's technically possible? Will a wider range of compatible devices prompt more developers to work on Windows apps? Do you feel Microsoft made any compromises in designing Windows 10 to be compatible with low-spec, portable gadgets? It's impressive that they can cram all of that hardware in such a tiny device, but to make it really practical - especially for a windows environment - the processor needs to be fairly beefy (8-core would be nice), RAM must be at minimum 4 GB, and internal storage at least 64GB. When I start seeing those configurations I might just cave. Until then, I'll stick to my simple Android phone. I totally agree. Thanks for posting this; I have not yet seen this mentioned anywhere else.